Temescal Amity Works was a multi-year project (July 2004-January 2007) sited in the Temescal neighborhood of Oakland, California. We had been living in the neighborhood since 1999, and when we conceived of the project, we saw it as a way to localize our attention and to restructure our practice to work in a community that we were not external to. We considered the project to be a social sculpture that also drew upon historical models of mutual-aid societies, barn-raisings, DIY collectives and urban communism. We were (and still are) interested in how a specific community built relationships through personal and casual economies. To accomplish this, we created two interlocking programs, The Big Back Yard and Reading Room. The Big Back Yard built on the history of the neighborhood as an Italian-American, immigrant community that was planted with citrus and fruit trees. Today, these trees still bear fruit while the culture that planted them has dwindled. Much of the harvest rots on the ground or is hauled away by the city. 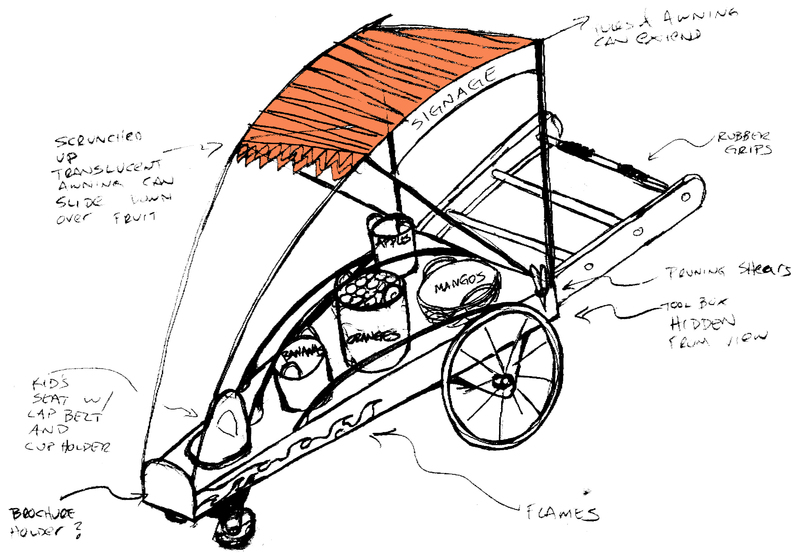 The Big Backyard was based around a hand-built, steel pushcart that we made to collect surplus fruits and vegetables from neighborhood yards, which we gave away fresh or re-distributed in the forms of collective marmalades and fruit butters. The Reading Room, located at a storefront space just off Telegraph Avenue, contextualized the ongoing experience of the Big Backyard through casual contact during open hours, as well as through a series of public events, film screenings and a small resource library. 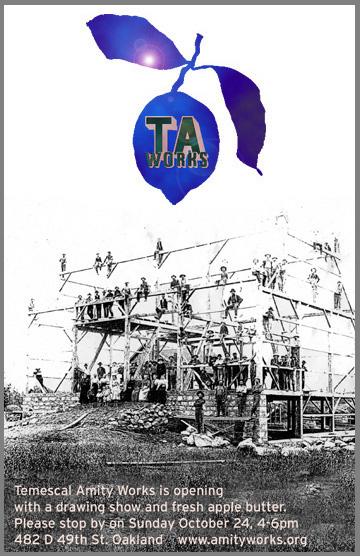 We also invited local artists, historians and others to create projects that overlaid themselves onto Temescal Amity Works in a productive and complicated way, making available our space and resources, including modest re-distributions of our funding. These collaborations included a Yellow Car Parade, a seed-exchange board, a marathon bread-baking workshop and a Broom Mending walk. Over the course of the project, our storefront was open for over 750 hours. 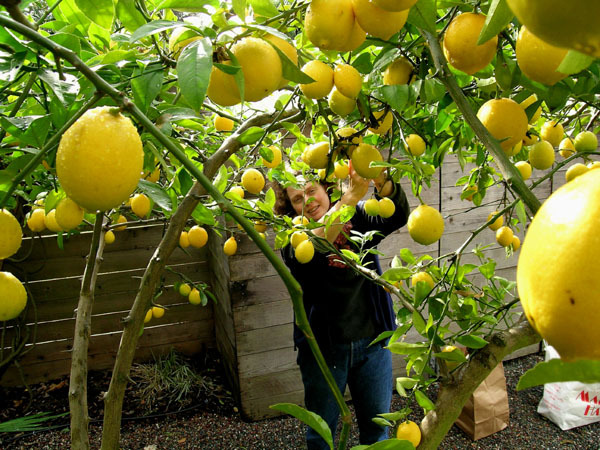 We harvested and redistributed thousands of free oranges, lemons, apples, and other produce from local yards. 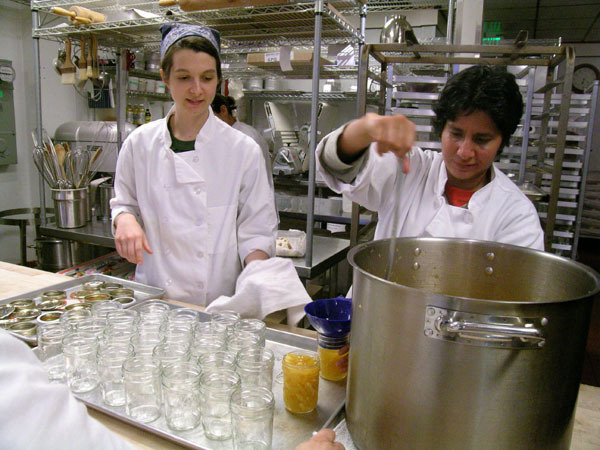 We made and gave away many jars of marmalade, fig conserve and apple butter. We published a series of postcards documenting local groups and collectives, venerable fruit trees, and the local landscape. We also produced a neighborhood resource map that was given out to all of the residents of the neighborhood and continues to be distributed through local businesses. While the project could have continued indefinitely, in January of 2007, we decided to close the storefront and end the “public” phase of Temescal Amity Works. We had observed that the longer the storefront remained in operation, the projects identity as a service became more ingrained in the neighborhood’s “consciousness”; which worked against our own interest in jump-starting a network, wherein residents would begin to circulate their backyard surplus amongst themselves. The tension between these two endpoints became clearer during a final discussion with neighbors that we hosted in the space on the closing weekend. 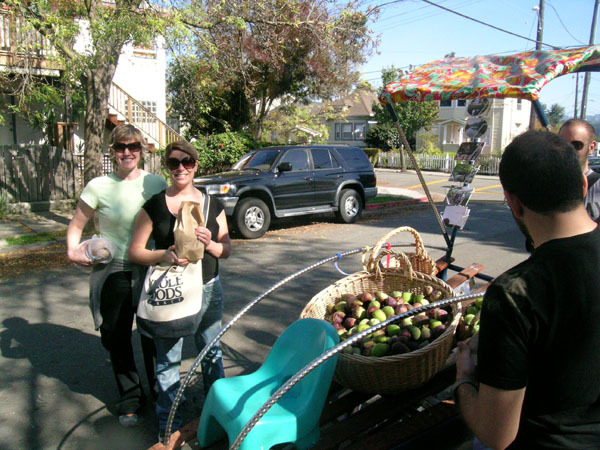 While many who attended felt that the dialogue and concepts generated through the storefront and programs had been of real interest to the neighborhood, there were also residents who felt that the project didn’t fully create a harvesting service for the neighborhood on a scale large enough to address issues of food justice and community health. While this was not really part of our intent or interest, such feelings highlighted some core issues about practicing as artists in a community context; what makes for a successful art project can often seriously diverge from the expectations placed on activist and non-profit services, and this divergence can be heightened when the art project borrows some of its outward form from such organizations.